1. Click here to access the membership application. 2. 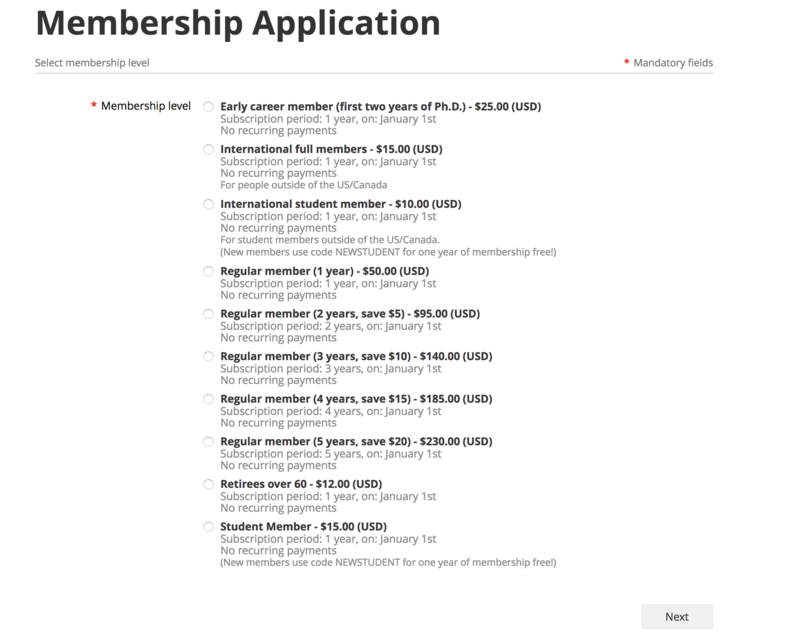 Select the appropriate membership level (e.g., student member) and press next. 3. Enter email and press next. 4. Fill out information (E.g., name, phone number) on the next page. On the bottom of this page, you will see a discount code field. Enter your code here and press next. 5. The next screen will show whether the discount code worked. If it did, you will see a message like: "Code "NEWSTUDENT" accepted. Total amount reduced by 100%. Thank you." 6. Press confirm to complete your membership. If your membership discount was not a 100% discount, you will be prompted to complete the payment process.